It is really sarcastic, I’ve just talked about data backup in my last post. Days after, a hard-drive failure just give me a direct strike. One hard drive in my office contains ONE TERA-BYTE data just failed to work, Most of the data doesn’t have backup. Wondering how many data can be recovered. 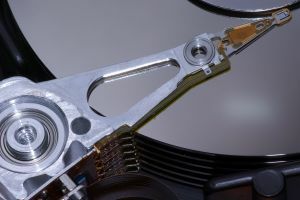 No matter the data can be recovered or not, just emphasize — BACK YOUR DATA – HARD DRIVE ALWAYS FAILS! 当这个函数调用第二次的时候，就会报错 Error: foo is not a function.